The St. Kitts and Nevis Senior Men’s National Football Team, went down 1-0 to French Guiana on Saturday evening in that country, in their first game ofthe Scotia Bank Caribbean Football Union’s Caribbean Cup third round. 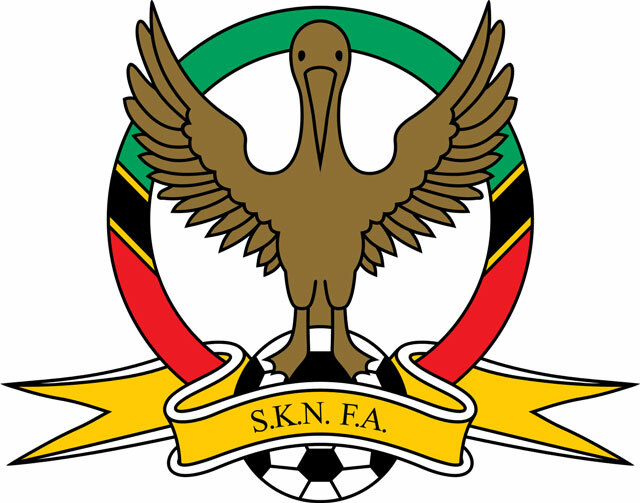 The St. Kitts and Nevis team were looking to build on their recent string of successes,travelled to the South American Continent and thanks to a 65th minute strike from Arnold Albertini to hand the Sugar Boys their first defeat of the competition. On Sunday, in a social media post St. Kitts and Nevis’ Head Coach Jacques Passy was positive about the team’s chances to top the group table despite the result. Sugar Boys Captain Atiba Harris also had words of encouragement for his teammates. In related news the much anticipated encounter between St. Kitts and Nevis and Haiti that was scheduled to be played on Tuesday, 11th OctoberWarner Park has been postponed. Many football fans in St. Kitts speculated weather the game would take place as scheduled and a statement by the St. Kitts-Nevis Football Association (SKNFA) indicated that they were informed of thepostponement by CFUand it was due to the passage of Hurricane Mathew that severely damaged Haiti, citing flight cancellations as the reason for the postponement. “The Caribbean Football Union General Secretary, Neil Cochrane officially informed the St. Kitts and Nevis Football Association and the Haitian Football Federation of the cancellation. “CFU cities flight problems as the cause for the cancellation.This is the second consecutive postponement of matches in group 2 caused by flight cancellations, which made it impossible for the Haitian delegation to depart Port-au-Prince, Haiti, to St. Kitts in a timely manner. Additionally, the international players must return to their professional delegation on time. Haiti was also scheduled to host French Guiana on October, 5 in Port-Au-Prince but that too was postponed. Thestatement also indicated that a new date for the encounter would be discussed and publicized at a later date. Last week, Haiti was ravaged by Hurricane Matthew that fatally damaged life and property according to reports, killing over 1000 residents, injuring many more and destroying over 10,000 homes. The past year for the St. Kitts and Nevis National Football team under the leadership of Head Coach Passy of Mexico has seen the twin island nation climb to its highest ever FIFA ranking of 77and also playing friendlies in Europe and Central America.